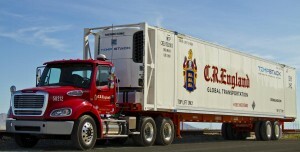 Home Trucking Companies C.R. England Inc. Source: C.R. England - C.R. England is one of the oldest trucking companies in the world. Source: C.R. England – C.R. England is one of the oldest trucking companies in the world. C.R. 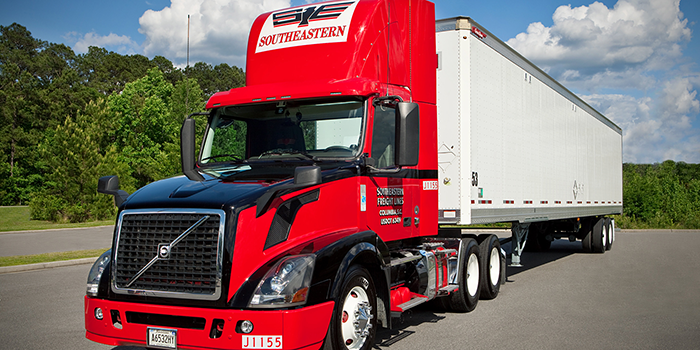 England, Inc. is one of the oldest and most enduring names in the trucking industry. C.R. England was founded nearly 100 years ago, back in 1920. 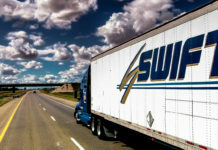 The company is a family-owned company, providing temperature-controlled transportation services throughout North America. The company has a total of 5 different full truckload service divisions. The National division, which provides long-haul services in the lower 48 states. The Regional division, providing short and medium haul services in the West. The Midwest division, which serves in, out and around Mexican borders. 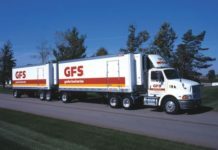 Their Intermodal division serves refrigerated containers from flatcar domestic truck-to-rail networks. And lastly, the Dedicated division, whom oversees all contract carriage services. An owned subsidiary of C.R. England called England Logistics, provides a wide range of services to the trucking industry. 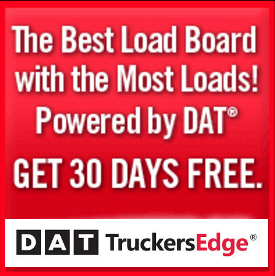 full truckload brokerage services, intermodal, and dry and cold chain less-than-truckload, and supply chain management. England Carrier Services, which provides discounts to carriers for tires and fuel as well as factoring services. The original father of C.R. England is no other than Chester Rodney England. Chester was born in 1896 and belonged to a farming family who lived in city of Plain City, Utah. Chester’s family and lineage were originally from England. Growing up, Chester lived the farming life, he was said to be a hard working man with business smarts. One of the most famous stories of his life was when he brought his first Model T truck to provide produce for farmers in 1920. Some call it Chester’s stepping stone as he soon began hauling milk for the Weber Dairy. Back during WWII, the trucking industry was still young, not many trucks on the road back then. Mr. England saw this as an opportunity. He began purchasing Mexican bananas down in El Paso, Texas. He then drove his truck back to distribute them in the state of Utah. When England’s sons were released from their military duties, they became involved with the family business. With his sons by his side, England also began to bring potatoes back. It was the beginning of what would help C.R. England become an established trucking business. Potatoes would shape C.R. England and help establish what Chester needed to grow his young trucking company. At the time, potatoes were vital to his business. The packing of Idaho potatoes became the key component. During this time, the England family was operating two large packing sheds and a facility for storage. 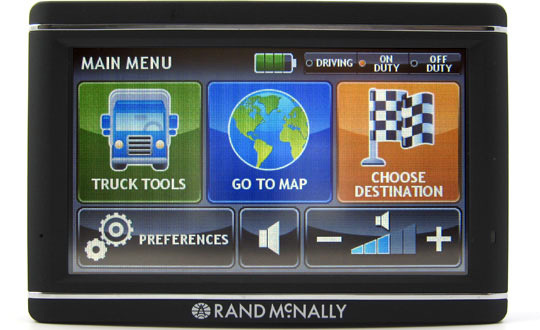 This became an important terminal for his trucking company. One of C.R. England’s biggest decisions came back to the very first product he traveled to bring back, bananas. American farmers began growing bananas all over the country. Unfortunately for England, his Mexican bananas were no match in quality. While potatoes were a big part of the business back then, he had depended on the Mexican bananas for some time. England had to make a decision if he wanted to grow his company. It was then Chester decided to replace bananas with produce and focus on moving his operation into Arizona and California. It became a move that solidified C.R. England in trucking history. Likely one of the most successful hauls of the company’s century long standing was when England sent driver Robert Gould to the east coast. It was C.R. England’s finest hour, his new 72-hour coast to coast delivering. A moment in time that put his west coast operation on the map. It was a service that no other company was offering. To get a truck load in 3 days time was unheard of back then, just one example of the genius thinking of one C.R. England. While Chester was a trucker at heart, he quickly learned how to grow his business and provide superior trucking services to the whole United States. The east coast trip was so successful, England decided to open a terminal in Pennsauken, New Jersey, later moving his east coast operations to Burlington, N.J. Shortly after, he would open an office serving the Philadelphia area. 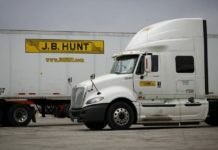 From his original Utah headquarters, he ran his east coast operations successfully and the company quickly began to grow into one of the biggest in the United States. The incredible journey of C.R. England is one for the history books. We talk about all the great things Mr. England was able to accomplish over the decades. But there was trying times and he prevailed, his trucking company prevailed. Today, C.R. England has main operations in New Jersey, Indiana, Texas and California.